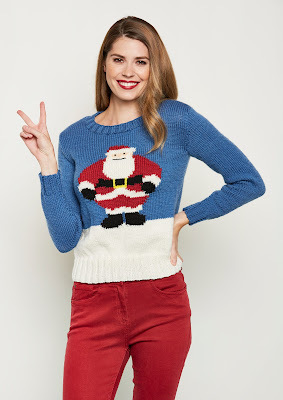 "So jump up on my sleigh and we're all on our way, for another bloomin' Christmas..." Yes, it's August, and yes, I am talking about Christmas already, with a new design that I am particularly excited about. You may recall that a few months ago I had an oddly large addition to my Yarnometer post - enough yarn to knit an adult-sized jumper? Well here it is, my first ever adult jumper design! And as you might have guessed, it's an intarsia design, featuring none other than Raymond Briggs' Father Christmas. Father Christmas was a staple of my childhood, with my siblings and I watching the beautifully hand-drawn cartoon television version every Christmas Eve. I loved the unconventional depiction of Father Christmas as a grumpy old man who referred to Christmas as "bloomin'" rather than "Merry" and wanted nothing more than to get it out of the way. I was of course, honoured when Kate Heppell from Knit Now contacted me earlier in the year to ask whether I would design a jumper featuring this festive icon. 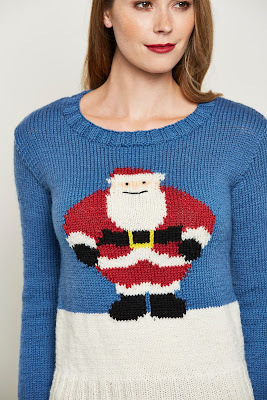 The jumper is knitted in pieces and has set-in sleeves, with the Father Christmas design knitted into the front using the intarsia technique. I've kept embroidery to a minimum on this design, as the blocks of colour worked perfectly without the need for extra outlining. 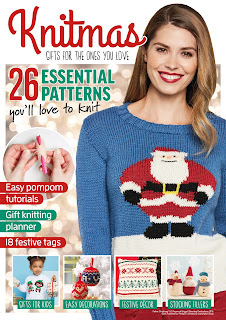 The pattern is written for sizes XS to 5X, with unisex sizing, so you could knit one for everyone you know! The design is knitted in Rico Essentials Soft Merino Aran,* which is a beautiful aran weight yarn that is a delight to knit with. 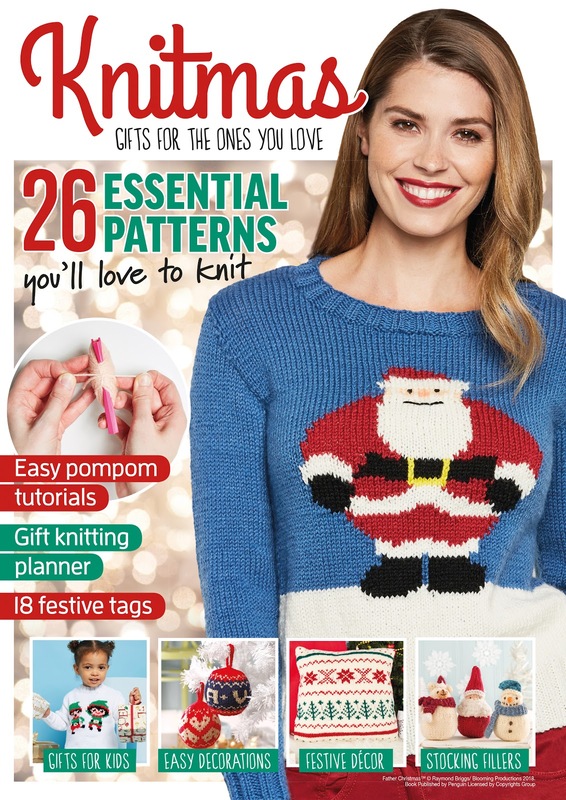 If you'd like to knit your own Father Christmas jumper, you'll need to get your hands on a copy of Knit Now Issue 92, which is available in the UK now, or you can order a copy online via the More Mags website. Please note that this pattern is not included in international editions of the magazine, or in digital versions.